Maintain a comfortable indoor climate with all of the HVAC supplies you need from Midway Lumber Company Inc. Our store in Baltimore, Maryland, has an extensive selection of residential HVAC products available for furnaces, heaters, and more. 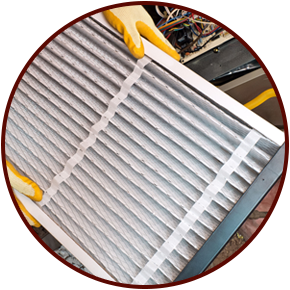 Enjoy warm air on winter days without having to worry about pollutants with our furnace filters. These necessary products are available in a range of sizes to fit your home's particular furnace and ventilation system. Direct air all throughout your home with galvanized vent pipes. These high-quality pipes are made from galvanized steel, ensuring a long life and the durability you expect from your home ventilation system. Bump up the temp anywhere in the house with portable heaters. You can keep your bedroom nice and toasty without having to pay to heat the whole house all night long! Our inventory of HVAC supplies is strictly for residential clients. We do not stock any professional HVAC supplies, since we are not a HVAC contractor supply. This specialization in home HVAC supplies means we are able to focus on offering the highest-quality and most affordable products around.